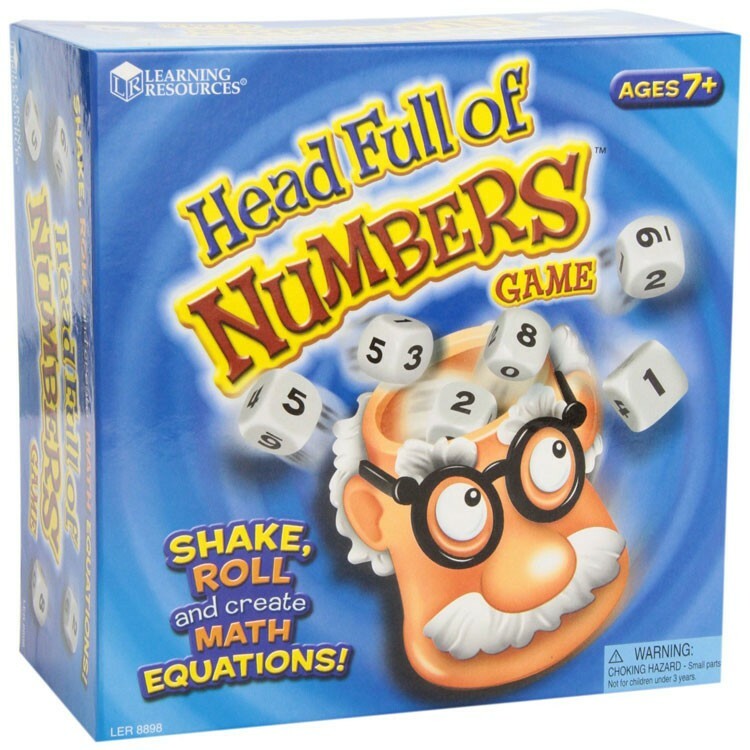 This top math game for kids will make your children's heads be full of mathematical ideas. 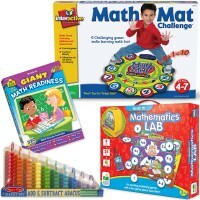 Would you like your children's heads be full of mathematical ideas? 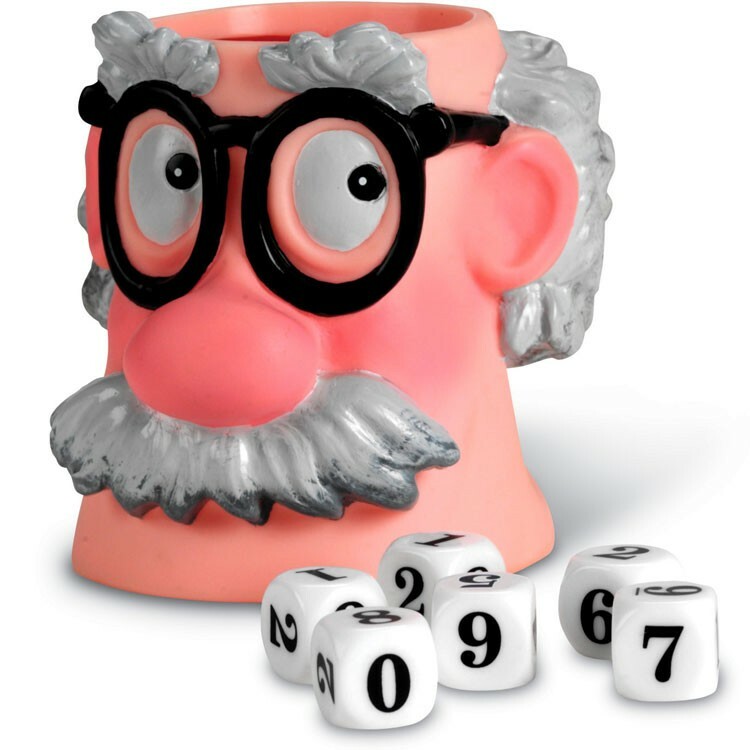 Head Full of Numbers Math Game will help! 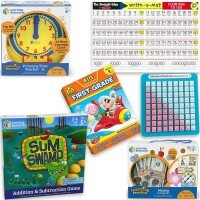 The top number game by Learning Resources is a fun approach towards math problem solving. Put the number dice into the cup that looks like math wizard head, shake them and roll. Sand timer is up! 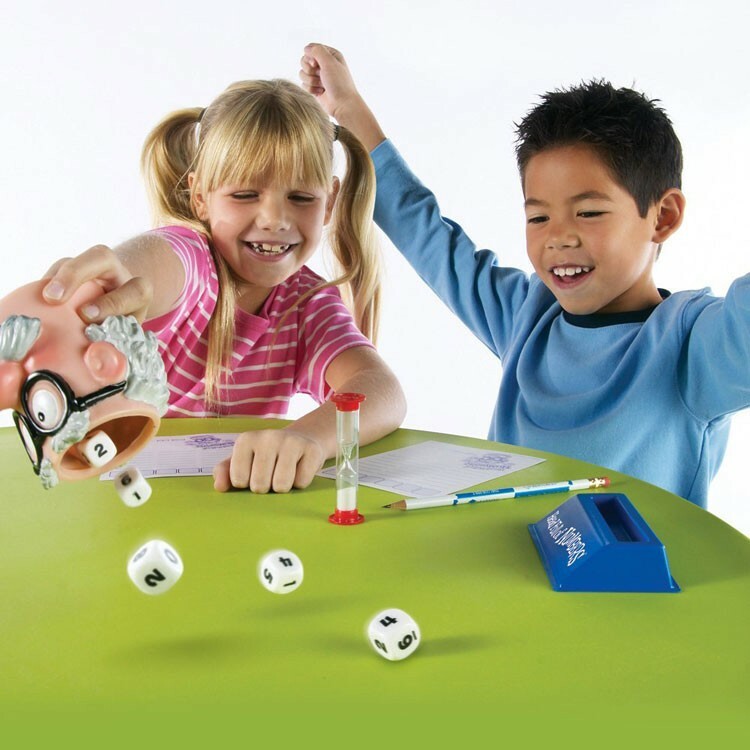 The player who comes up with more mathematical equations using the numbers rolled, wins the round! And, of course, they have to be correct. 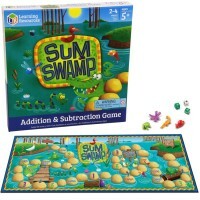 Equations can include easy addition or subtraction, or incorporate multiplication and division to add challenge to the game. 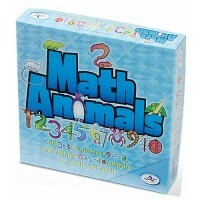 This award winning math game from Educational Toys Planet allows each player to play at his/her level of difficulty. 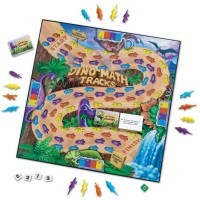 Fast pace and competitive element make this math game fun for the whole family. 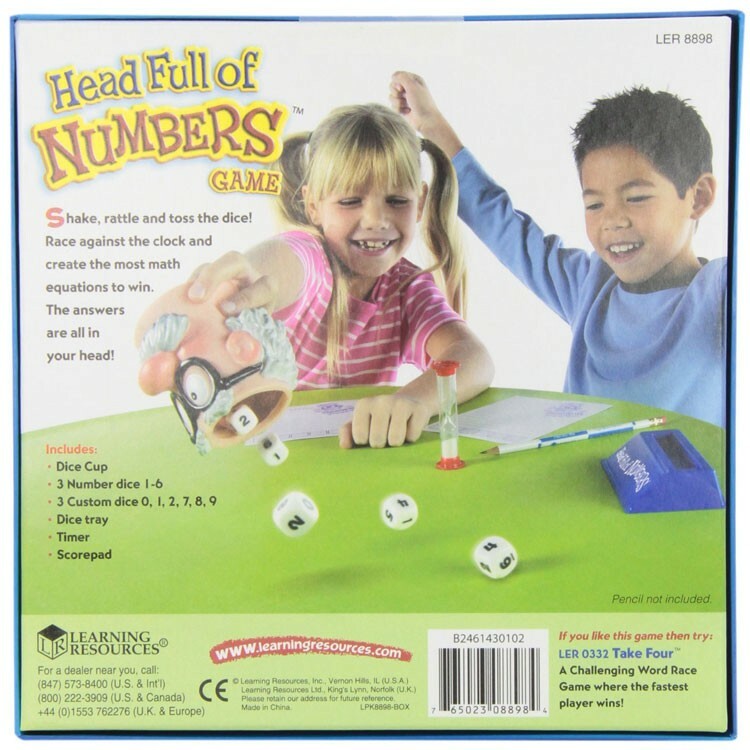 Head Full of Numbers Math Game features fun shaker, standard and specially designed dice with numbers 0-9, cards to write down equations, pencils, sand timer, and activity guide. 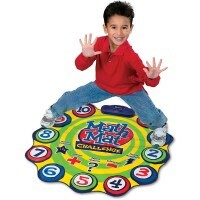 Any number of players can participate. 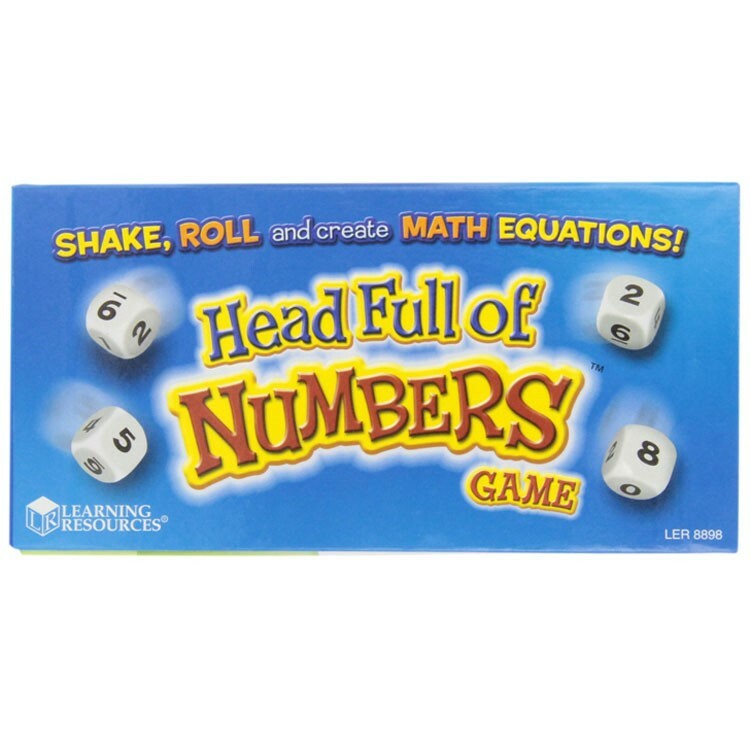 Dimensions of package 8" x 4.1" x 8.1"
Write your own review of Head Full of Numbers Math Game. 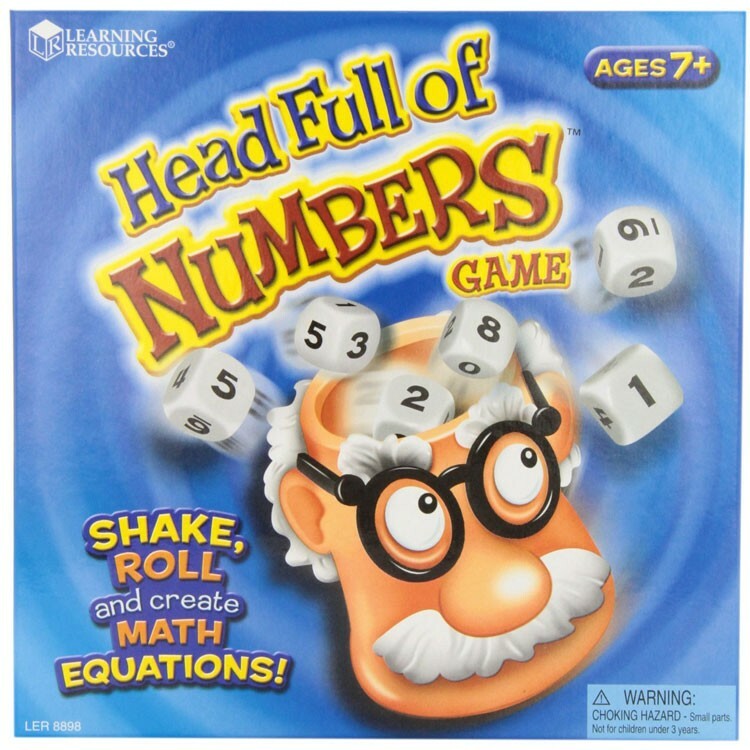 Rating: 5 Head Full of Numbers Math Game by Confessa Wonderful game for my oldest grandchildren. 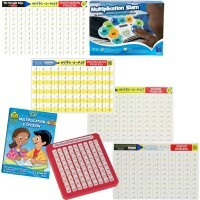 It keeps math fun & exciting for them. Rating: 5 by Marcia, ID My 9 year old grandson loved it - said it was 'cool'! Thanks for the high-quality of the game. 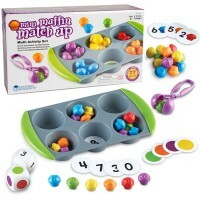 Rating: 5 by ellie, NY Cute way to learn and we can make up our own games with it. 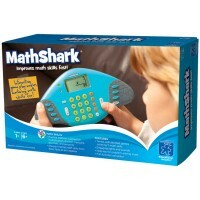 Rating: 5 by Beverly My youngest grandson with the weakest math skills loves it. 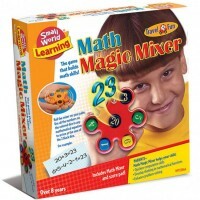 Rating: 5 by Sandy, CT Really cute game and excellent learning idea for kids.